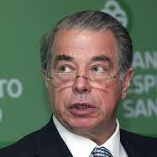 Banco Espirito Santo (BES), Portugal’s largest bank by assets, has found itself in a state of flux as regulators are slated to reject the new appointment of Amilcar Morais Pires, following the resignation of outgoing Chief Executive, Ricardo Espirito Santo Salgado. Lisbon-based BES deals in a variety of asset classes with a strong foundation in currency exchange. Amid a recent period of turmoil, Portuguese regulators have moved to reject Mr. Pires’ appointment on grounds of irregularities and ongoing scrutiny at Espirito Santo International, a Luxembourg-registered affiliate. Back on June 20, Mr. Salgado resigned as Chief Executive from BES, followed immediately by the resignation of Jose Maria Espirito Santo Silva Ricciardi, Salgado’s cousin. To succeed Mr. Salgado, the family has proposed Amilcar Morais Pires, who presently serves as BES’s Chief Financial Officer. However, as recently as last week, regulatory authorities in Luxembourg launched investigations into the Espirito Santo family holding companies alleging breaches of company law. Shareholders decide all changes on the executive board, while the next meeting is scheduled to taking place on July 31 – as such, the situation seems likely headed for an impasse ahead of the meeting. Following an earlier report on Reuters, the Bank of Portugal has allegedly pushed for Mr. Salgado’s resignation on the heels of irregularities and inconsistencies it discovered in the company.